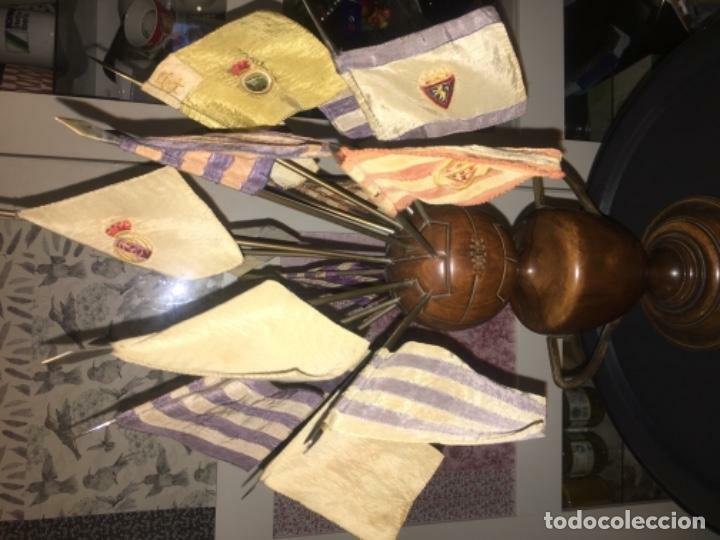 TROFEO DE FÚTBOL CON 16 EQUIPOS DE LA LIGA DE PRIMERA DIVISIÓN TEMPORADA 1952-53. CONTIENE LAS 16 BANDERAS DE LOS EQUIPOS DE ESA TEMPORADA . 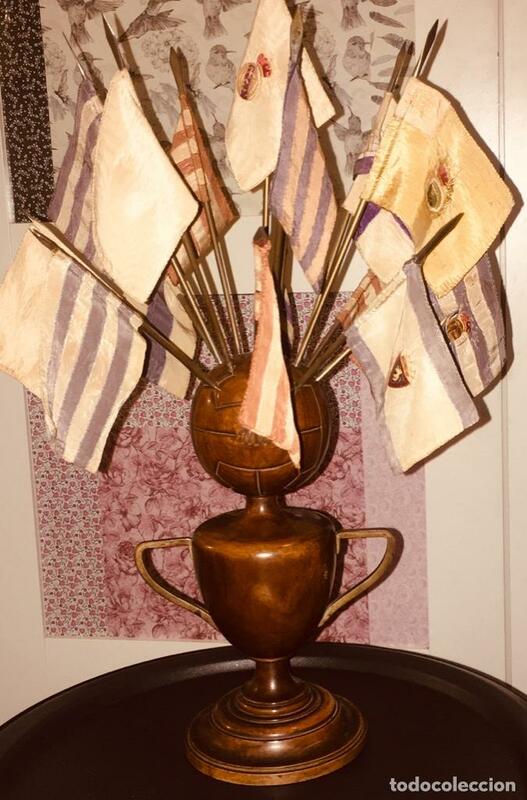 EL TROFEO ES DE MADERA NOBLE Y LOS BANDERINES ESTÁN BORDADOS ARTESANALMENTE. 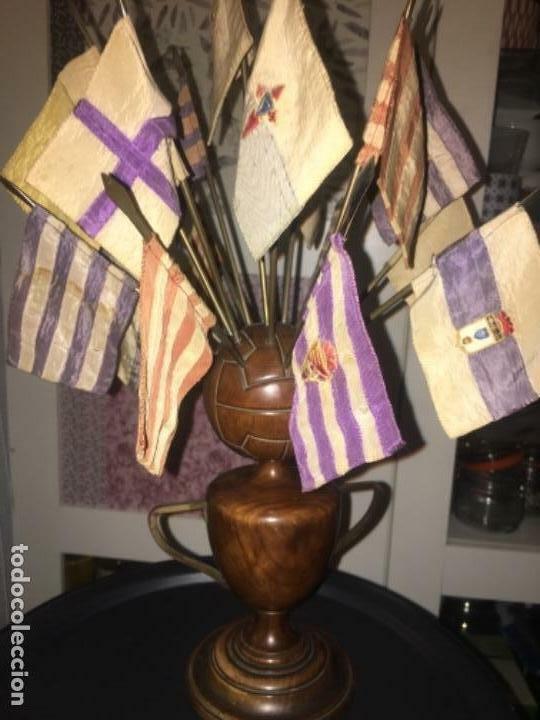 PIEZA MUY RARA . Hora oficial TC: 04:26:50 TR: 96 ms.